Construction of Halley VI completed. Science experiments moved from Halley V to Halley VI. 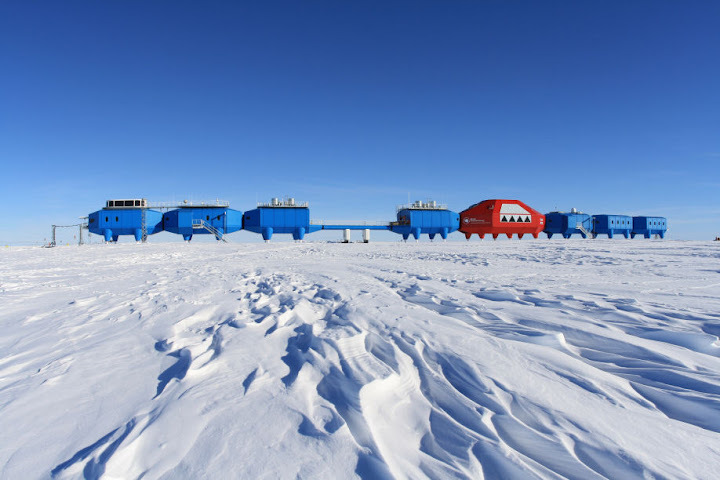 Halley VI became operational 28th February. Taken on sea ice at Creek 3 during field training. 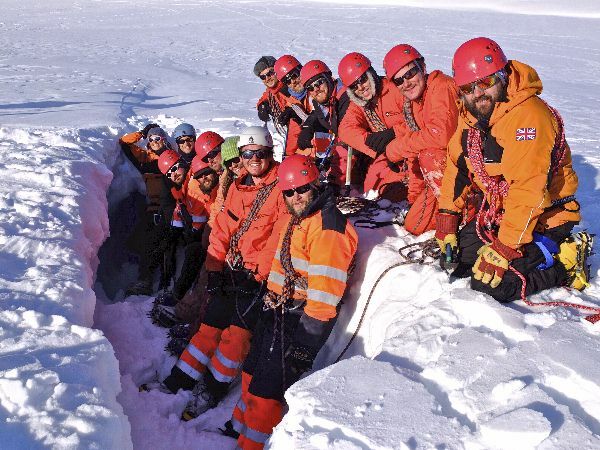 Bottom Line (in crevasse): Matt Hooper, Oliver Bonner, Cariad Findlater, Patrick "Paddy" Power, Rob Last, Gareth Collier, Ant Dubber, Sanna Kallio.